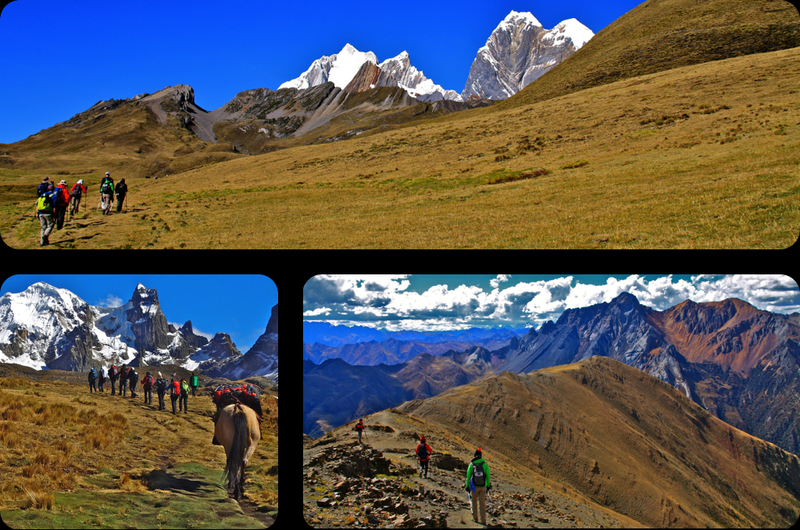 The Peruvian Andes offer some of South America's best trekking opportunities, from short, easy hikes of a day or two, to multi-week adventures requiring a good level of fitness. The Cordillera Blanca and the Huayhuash - both located near the town of Huaraz - are considered to be the Andes' most beautiful mountain ranges, thanks to an incredible collection of perennially ice-capped peaks, glacial lakes in an astonishing variety of colours and pristine alpine valleys rich in exotic flora and fauna including the emblematic Andean condor. The area is also home to Peru’s highest summit, the 6768m Mount Huascaran, which is also the world’s tallest tropical mountain. 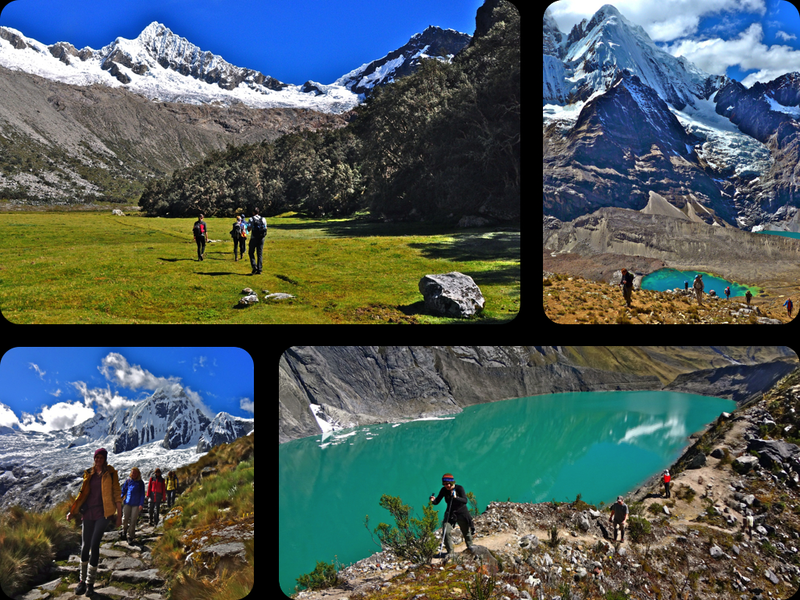 The best way to discover the stunning natural beauty of the Cordillera Blanca is on foot, and there are a wide range of trekking circuits suited to all fitness levels. Some trails follow ancient Inca paths, others cross high glaciated passes, all meander through idyllic valleys dominated by snow-covered giants and dotted with dazzling lakes. 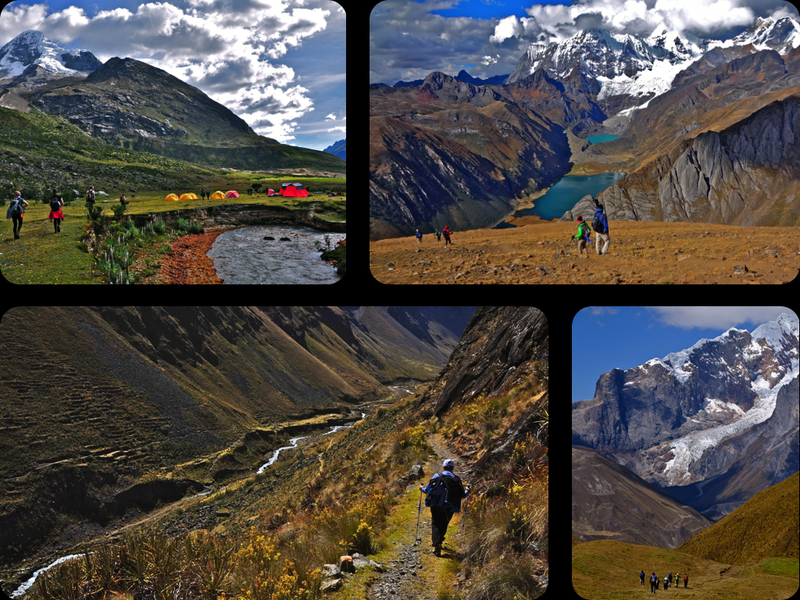 The full circuit around the stunning and remote Cordillera Huayhuash is considered as one of the world’s most beautiful treks. Its unique appeal is the route around the tight cluster of peaks that makes up the range, which is a mere 30km long and is dominated by Peru's second highest mountain, Yerupaja (6634m). This trek requires a good fitness level and excellent acclimatisation - the trails cross many high passes above 4600m, with the highest at 5050m and none below 4100m. 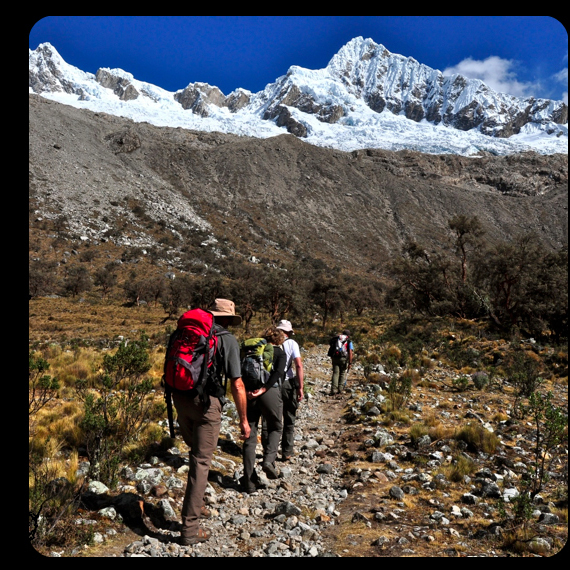 The best time to go trekking in the Peruvian Andes is during the dry season, from May to September. 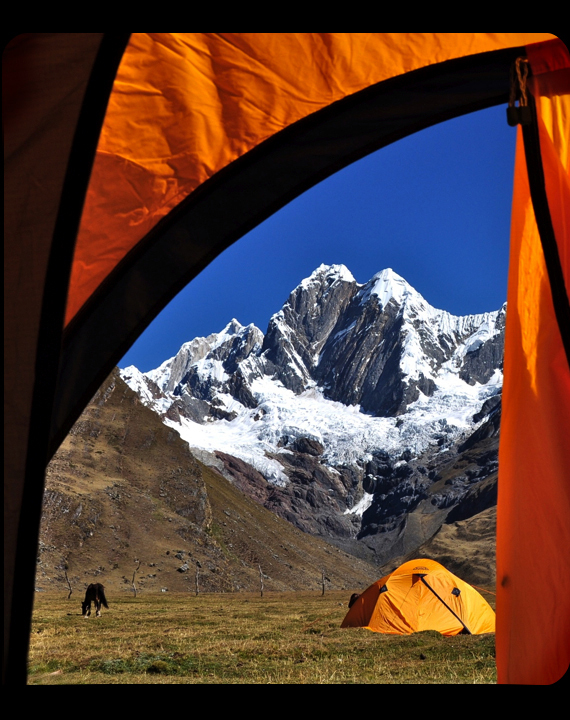 Known as the 'Andean summer', the weather is usually stable with plenty of sunshine and clear skies, although rain and snow can come at any time of year in the mountains. It is possible to trek during the rainy season - from October to April - when the mornings are often clear and the downpours, which are heaviest between January and March, come only in the afternoon. Some trekkers prefer the brilliantly green valleys and the less crowded trails during those months. While on trek we normally wake up at around 6.30 am. A cup of tea or coffee is brought to your tent, as well as a washing bowl with hot water. You must be ready for breakfast by 7.30 am at the latest. All gear and equipment must be packed before breakfast, so that the camp can be broken and the donkeys loaded. We set off on our trek at around 8 am. The arrieros and donkeys leave independently of us, usually shortly afterwards. We make a stop at around 12 pm in order to eat our lunch. After lunch we rest for a short while, before trekking for several hours until we reach our camp, usually by mid-afternoon. We can then either relax or explore the area. A washing bowl with hot water can be brought to those wishing to freshen up. Additional bowls can be provided for those needing to wash some clothes. We strongly recommend that you use biodegradable products and remind you to dispose of your water well away from streams. An afternoon snack and hot drinks are served in the dining tent at around 4 pm. Dinner is served at around 7 pm. Water bottles can be refilled with boiled water after dinner or breakfast, or at snacktime.